The Giving Back Fund’s annual Super Bowl Fundraiser, “Big Game-Big Give,” is just a week away! 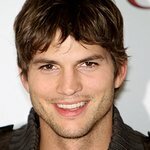 Last year’s highly successful inauguaral event was hosted by Ashton Kutcher (with wife Demi Moore). This year’s event promises to be one of the most exclusive and hardest-to-get tickets at the Super Bowl. The event will be hosted by Transformers’ Director Michael Bay at his private Miami Beach estate. Mega-Producer Jerry Bruckheimer will join Michael as a co-host. “Big Game-Big Give” is a very intimate and exclusive event focused on athletes, celebrities, recognized business leaders, and on the importance of giving back. More than 100 A-List celebrities and athletes are expected, including several who have foundations at The Giving Back Fund. Established in 1997, The Giving Back Fund provides professional philanthropic management, consulting, and mentoring to athletes, entertainers and others. In the past they have worked with Ben Roethlisberger, Yao Ming, Sam Madison and many more. The Giving Back Fund is the premier philanthropic resource for the sports and entertainment communities. The Fund encourages philanthropy from high-profile individuals and the general public, offering the resources and support celebrities need to confidently give back to their communities.